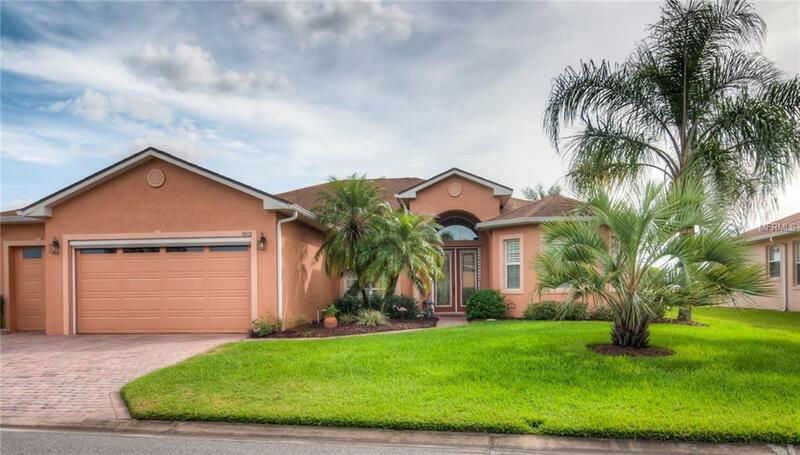 With over $150,000 in upgrades, this 3 bed with den, 2.5 bath St. John split floor plan POOL home must be seen! Located on an oversized lot abutting the 6th fairway of Lake Ashton' East Course, the view also includes pond, preserve and Lake Ashton. 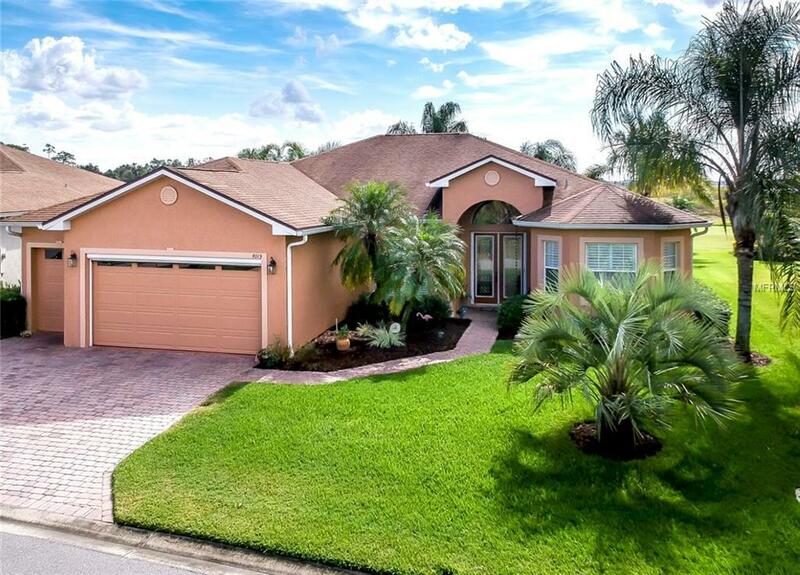 The palms and quality landscaping give this home real curb appeal and are serviced by a separate irrigation meter. The leaded glass double front door also has a retractable screen. Inside the WOW factor kicks in! 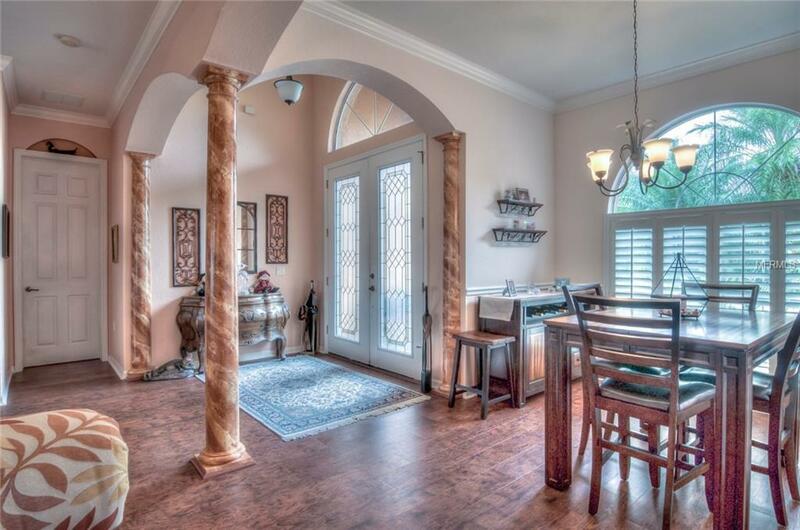 The foyer and dining room at the front are defined by graceful arches and stately pillars. The huge living room with its tray ceiling serves as the focal point. The master suite fills the entire west wing and includes a large bedroom area with tray ceiling, 2 walk in closets, linen closet and master bath with 2 elevated vanities with solid surface tops, jetted tub in bay window, stall shower with glass door and privacy toilet. The chef's delight kitchen features glazed maple cabinetry with 42" uppers and crown molding, upgraded appliances, granite counters, wrap around snack bar and walk in pantry. The fully enclosed 13x33 veranda is added living space and is accessed by sliders in the living and dinette and French doors in the master. The birdcaged salt water pool with spa are solar heated! 2 car and golf car garage. 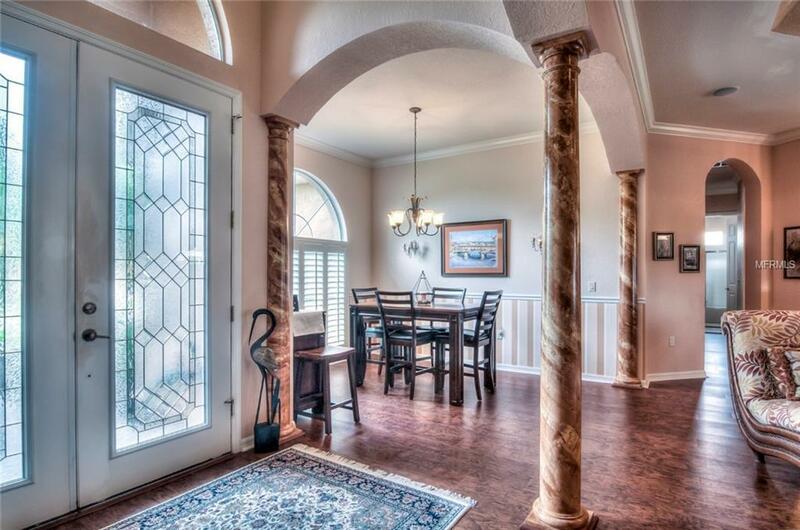 Some features of note are insulated windows, crown moldings, upgraded lighting and plumbing fixtures, ceiling fans, motorized garage door screen, plantation shutters, central vac, hurricane window protection and whole house sound system.